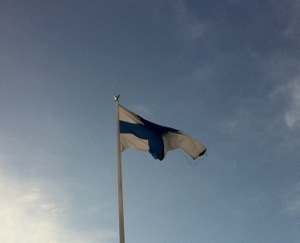 Yes, it’s another flag day in Finland. April 9th is not just the anniversary of Mikael Agricola’s death; it is also when Finn’s celebrate Suomen kielen päivä. Now I know if you drag this text into your favourite translator it will give you an answer something like this: Finnish language day. That is a little misleading! 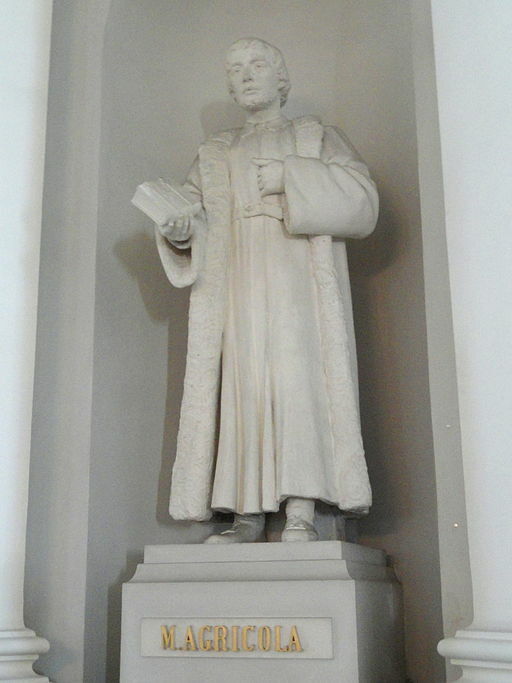 Mikael Agricola is recognized as the father of written Finnish language. Wikipedia has a quite nice page in English that discusses his achievements. By all accounts he was a gifted student, particularly when it came to languages. If you visit the Mikael Agricola Foundation page there is a neat summary of his achievements under the Elämä page. There is some small confusion over his birth date, some references record it as 1507 while other texts rely on 1510 as his birth year. His sudden death in April of 1557 is now the date used to celebrate not just his life, but also his achievements in recording the Finnish language. Even though he spent time studying in Germany, he was more than just a student of languages. He was a member of the clergy and was appointed as Bishop in Turku (back when Turku was the Finnish capital. He was a diplomatic as well, and his untimely death occurred on the return trip from a peacekeeping mission with Russia. When Agricola’s first writings were published, there was no standard Finnish written text nor was the Bible readily available to the general population. Agricola solved this dilemma by publishing a primer and catechism as one and the same. I’ve done some digging, and if you’re interested in reading the very first Finnish language book ever published, check this out! While the spelling has evolved over time, if you say the words phonetically it’s definitely the same language I muddle along with everyday! A listing of his works is available here, and there is a detailed listing of additional links here. Unfortunately the links are in Finnish only. I will keep hunting and try to add additional English information as and when I find it. * I love flag days! It’s wonderful to see flags flying from every building and in every yard. I can’t help myself, I just have to take a picture. This one was taken as I arrived for class this afternoon at Liiketalousopisto-Helmi. Were you wandering the streets of Helsinki today? Or any part of Finland for that matter? Did you notice the number of Finnish flags flying? Any yard that boasts a flag pole would have been flying the national flag. 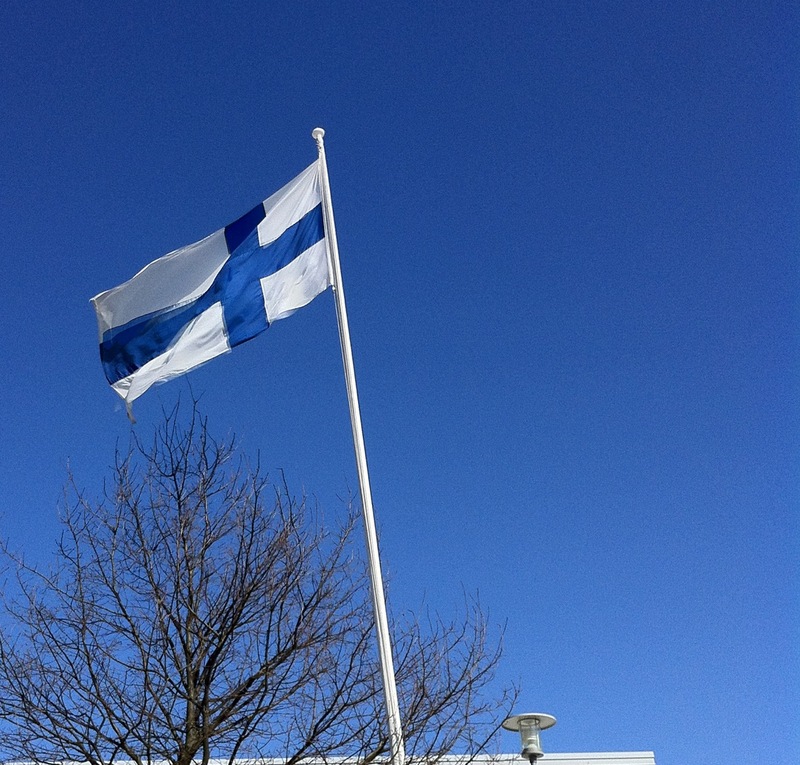 Today the flags were flying for two reasons: the anniversary of Minna Canth‘s birth in 1844 and celebration of social equality in Finland. This flag day has only been official since 2007, previously it was at the discretion of building managers and owners whether they would hoist the flag or not. What’s more, Minna Canth was the first woman to be awarded an official flag day. This year there appears to be 19 official days throughout the year when the flag should be flown. Minna Canth is remembered for her writing and social activism. 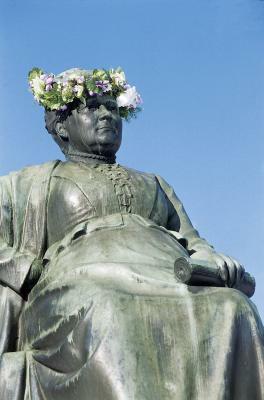 It is no accident that the Finnish Day for Equality falls on her birthday. She was an early advocate in improving the position of the poor and women. 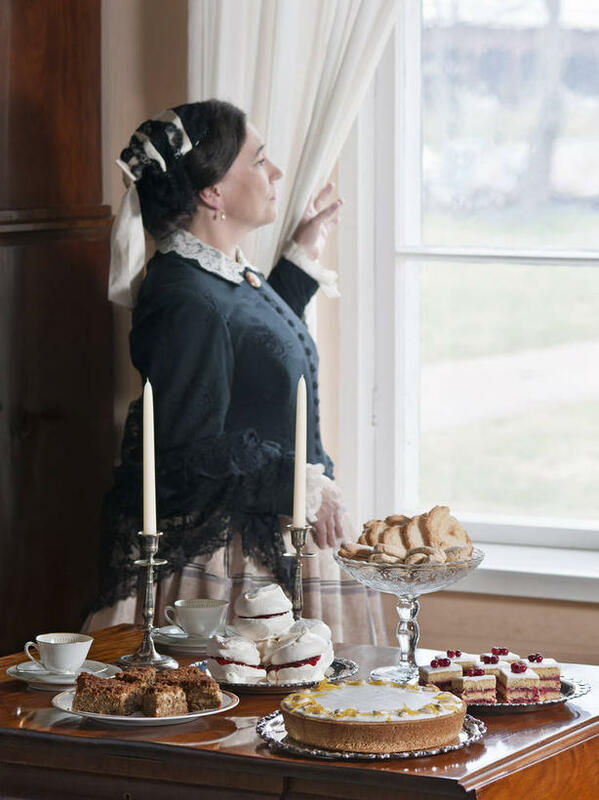 A widow, raising seven children on her own, she also managed the family drapery shop and pursued a career in writing. Her writing was not limited to one format: she was a journalist, short story writer and a playwright. Her plays continue to be performed today. In the latter part of her life she established her own periodical and edited that also. It was a short-lived venture although it did introduce new ideas to the Finnish populace. If you travel further afield to the city of Kuopio you will find much more as the greater part of her life was spent living in this beautiful lakeside city. 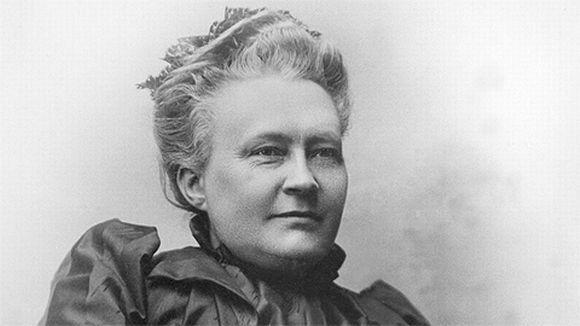 Minna Canth, writer and champion of social change. On a totally personal note, it’s my mother-in-laws birthday today also! Just how do you celebrate 200 years? If you are Helsinki, you throw a party! (Actually, I think everybody might throw a party for being 200 years old.) The Helsinki party is more than just one day: the actual Helsinki Day is one day of an 18 day event called Helsinki Week. In 2012, the event ran from May 31st. June 17th marked the final day of this celebration of all things Helsinki. 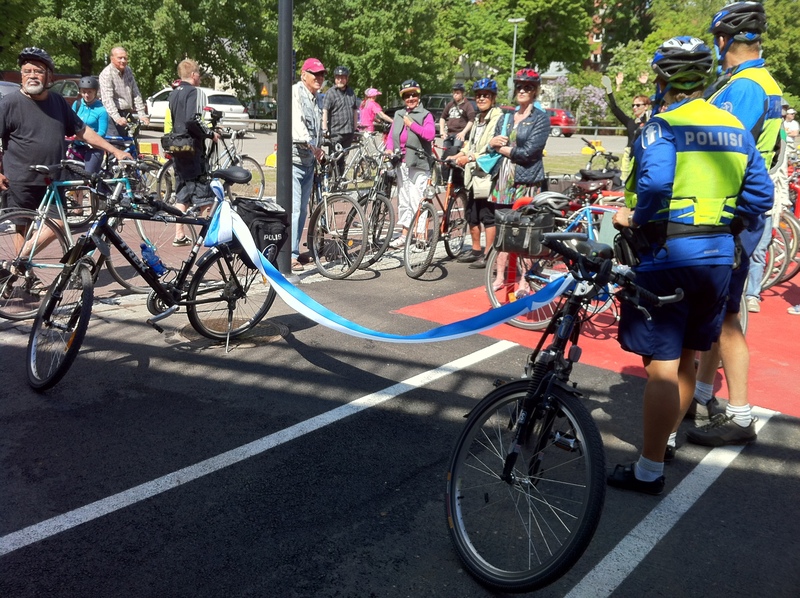 Ribbon slung between two bicycles. Where are the scissors? The city used this day and occasion to distribute the new cycling map. Everybody that rode through the Baana on the official opening received a map at the end. The maps are free and have more than just the cycle paths marked. Nature reserves are included, and many of these cycle paths become part of the cross-country ski tracks in winter. Cafés, museums, beaches, grilling spots, lookouts, historical sites, camping grounds and culturally significant spots are included. I actually have three: one with the bike, one at home for route planning and one in the car for locating new spots to visit! 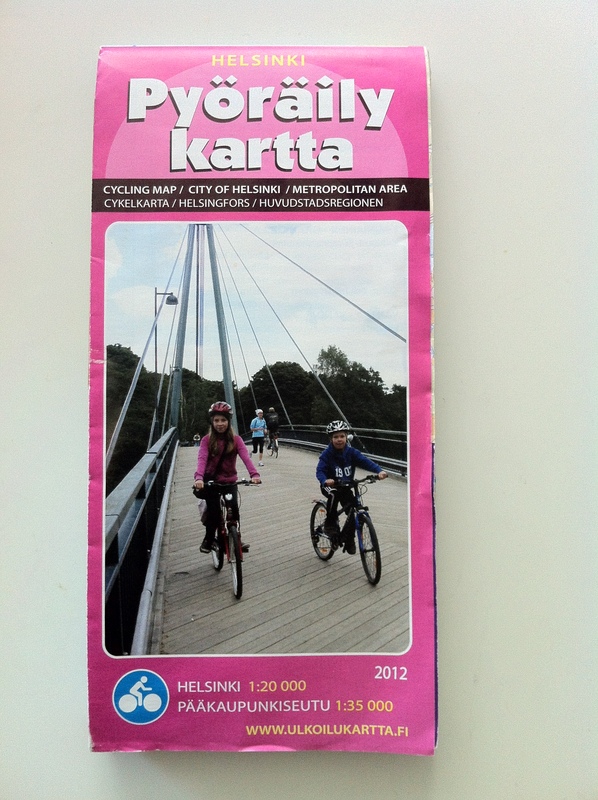 You can pick one up from any Helsinki library, the City of Helsinki Sports Department and the Helsinki Tourist Office. Helsinki City have also provided an electronic version. There was an abundance of events to choose from on Helsinki Day. I’ve already decided that next year I am going to ensure that I know well in advance where the Historical Café will be. This year, the event was hosted in one of the city’s numerous museum buildings: Sederholm House. This café is not just any old café. The food on offer is made according to the tastes of 19th century Helsinki. In 2012 the menu included served almond cake, apple cake, individual meringues, as well as sweet and savoury pastries. As the recipes hark back to a time less industrial there is lots of butter! There was also the opportunity to enjoy some ‘tunes’ of the era. City Hall activities for all the family the whole day. I would have enjoyed catching up with a Balinese clown and listening to some toe tapping big band sounds. For the young at heart there was a puppet theatre performance highlighting Helsinki’s foundation as well as some unique views of Finland. As an extra special gift to Helsinki residents all swimming pools (both indoor and outdoor) were free of charge for the day, while the Olympic Stadium and Helsinki-Vantaa Airport also arranged special 60th birthday events. Our highlight was going to be the concert staged in Kaisaniemi Park. The lineup was a great cross-section of Finnish (popular) music, and I wouldn’t be able to nominate a favourite. Reckless Love, Erin, POTF, Herra Ylppö & Ihmiset, Lauri Tähkä, Happoradio, Rasmus and Chisu. Okay, since you asked I have a big soft spot for Poets, Happoradio, Rasmus and Chisu, not necessarily in that order! Our plans changed somewhat and we ended up enjoying an impromptu dinner at the Savu Restaurant. A review will follow in due course. As the Helsinki Week page will be updated in time for the 2013 Helsinki Week, I suggest that you have a look at the wide variety of events that were organised for this year. While there is too much for one person to be able to do and ENJOY everything, at least there is no shortage of things to do. My must-do list for next year already has some entries! * Baana is colloquial Finnish word for road / route / track, and in this use is a very good example of classic Finnish play on words. This new cycling track has been built on an abandoned section of rail track from the harbour.